(CBSDFW/CNN, April 3, 2019) — One man got the flight of a lifetime last month — an entire 189-seat Boeing 737 plane to himself. When Skirmantas Strimaitis booked a one-way ticket to northern Italy he never imagined he’d be the only passenger on board. 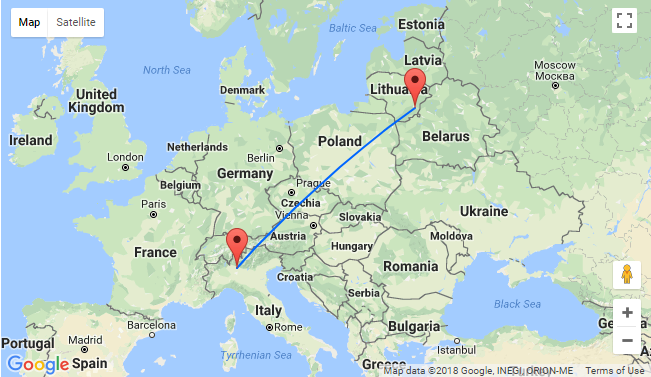 But Mr. Strimaitis, who was flying from Vilnius to Bergamo for a skiing trip on March 16, was in for a shock when he discovered he had the entire Boeing 737-800 to himself. His only companions on board the plane, which has a seating capacity of 189, were two pilots and five crew members. Strimaitis suspected something was amiss when he went to check in at Lithuania’s Vilnius International Airport and was told the crew were waiting for him. Tour operator Novaturas confirmed to CNN Travel they chartered a flight from Bergamo to Vilnius for a group of clients that day. However, Strimaitis was the only person to buy one. Leading to what he describes as a “unique and unreal” experience. “The crew seemed quite confused at first,” he tells CNN Travel. “Maybe it was a new experience for them as well. Strimaitis says the pilot referred to him as “Mr Passenger” while speaking over the tannoy after the plane landed at Orio al Serio International Airport in Bergamo.